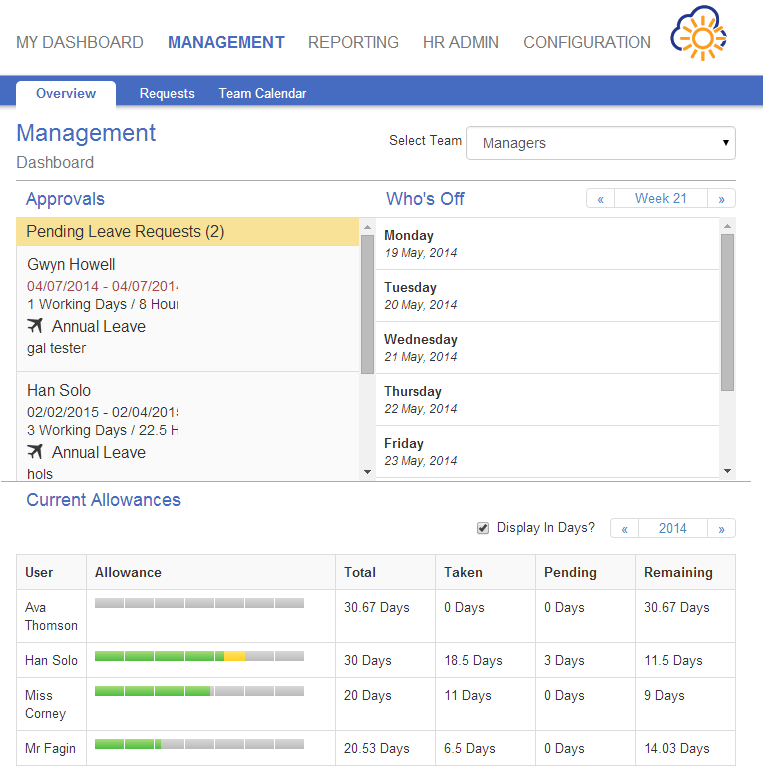 Almost a year ago we introduced a cleaner user interface for Appogee Leave. We are happy to announce that we are ready to release Appogee Leave version 8 which has further improvements to enhance the experience in accessing, setting up and using the application. We’ve listened to your feedback and switched to a fixed screen and also now have better support a variety of screen sizes. This will give users and especially admins the ability to access all areas of Appogee Leave on majority of devices. To assist administrators & HR in setting up the system we’ve added a quick reference in the HR ADMIN dashboard as the new Overview tab. The Overview tab contains links to setup pages and links to documentation to help you set up quickly. User registration now allows for the adding of new users by importing from Google Apps by Organisation Units. We will be retiring the licensing incentives which caused some confusion, however customers who have already taken advantage of them will retain them. We are also introducing micro pricing for smaller organisations through our new license pack that covers 10 licenses. Please refer to our pricing page for details. An important change will be Appogee Leave moving from appogee-leave.appspot.com to leave.appogeehr.com (for EU customers this is leave-eu.appogeehr.com) in preparation for future updates. If your users bookmark the current page they should update their bookmark to the new hosting domain. Finally we’ve removed the necessity to have a Google Apps domain in order to use Appogee Leave, and introduced support for iCal calendar and Public Holiday updates. Let us know your feedback, so please get in touch, add your feature requests – and if you really like what we’ve done, give Appogee Leave a 5 star customer review.